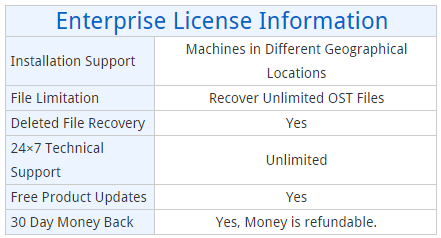 MS Outlook OST Recovery is available in several license schemes, select the license as per the requirement and online buy the full edition. Online payment for software is 100% secure. After payment completion, software full version license details will sent within 15 minutes.